Peter Lever (born 17 September 1940, Todmorden, Yorkshire, England) is a former English cricketer, who played in seventeen Tests and ten ODIs for England from 1970 to 1975. He was a successful wicket taker, taking 41 victims from those seventeen Tests, and a handy batsman with a top score of 88 not out. Towards the end of his career, during a Test match against New Zealand, he almost killed debutant Ewen Chatfield with a bouncer. Lever, along with his cricket playing brother Colin, played for Lancashire and Tasmania in a successful first-class career of 301 matches from 1960 until 1976, which yielded Lever 796 wickets and 3,534 runs. The inclusion of John Snow, Jeff Jones, David Brown and Ken Higgs in the England team delayed Levers debut until, when aged 30, he played against Australia at Perth on 1 December 1970. He managed two with the bat, but took one wicket in each innings. Lever could deliver a dangerous bouncer, despite his gentle nature. Both were in evidence when he poleaxed New Zealander Ewen Chatfield, whose life was saved by mouth-to-mouth resuscitation and heart massage at Eden Park, Auckland. Lever, in abject horror, fell to his knees, and had to be helped off the pitch by his team-mates. 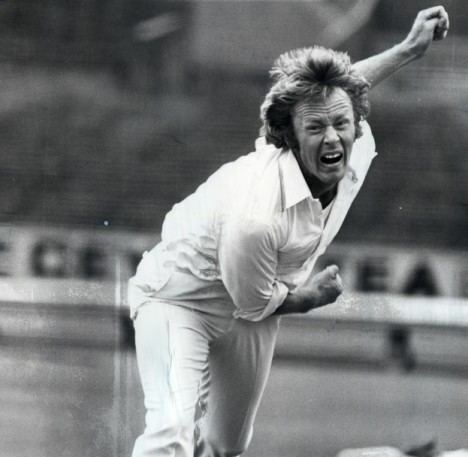 Lever went on to take 41 wickets in international cricket, at 36.80 and including best bowling figures of 6/38, before his final Test ended on 5 August 1975 during another Ashes tour, Australia facing England at Lords. Lever also played ten One Day Internationals, including the 1975 Cricket World Cup, taking 11 wickets but scoring only 17 runs. His ODI debut was also against Australia, at Melbourne on 5 January 1971, and his last match was at Headingley, Leeds, again against Australia, on 18 June 1975. This gives Lever the unusual distinction of having played both his debut, and last match, against Australia during Ashes tours, in both the Test and one day form of the game. His domestic career continued to 1976 in first-class cricket, and until 1983 in List-A. He then went on to become a coach at his old domestic club, Lancashire.